A Catholic bishop in Mali has highlighted the ongoing insecurity in the country and welcomed the decision to deploy a new multinational stabilisation force. “The security situation in different areas of Mali has been a concern for several months,” Fr. Edmond Dembele, General Secretary of the Episcopal Conference of Mali, told Catholic news agency Fides, following the agreement to deploy 5,000 soldiers, funded with the help of the European Union, USA, Saudi Arabia and United Arab Emirates. The multinational force will be formed by soldiers from Mali, Niger, Burkina Faso, Chad and Mauritania. It will have its headquarters in Bamako, Mali, and will also be deployed in Niger and Burkina Faso. “We had hoped that with the signing of the peace agreement of Algiers in June 2015, the conditions for the pacification and stabilisation of the country would have been created,” said Fr. Dembele. “In fact, for a few months after the signing of the agreement, we experienced a moment of relative peace. But for about a year we have witnessed a return to insecurity, especially in the centre of Mali and even in the capital, Bamako, where there have been attacks. “There have been several terrorist attacks in the centre of the country in recent months that are becoming increasingly regular. 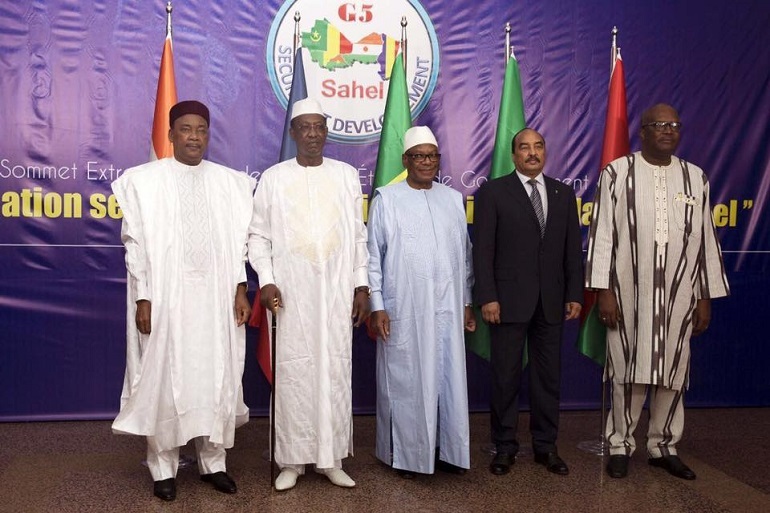 As Fides reported, “The Algiers agreement included the Tuareg separatist groups in a peace process, which were the source of the crisis that broke out in January 2012, when the north of Mali was conquered by the Tuareg rebels, giving life to the ephemeral Republic of Azawad. Fr. Dembele added: “The agreement of Algiers indeed allowed to calm the independence aspirations of the northern regions, which are now controlled by the so-called Mixed Forces, composed of former rebels of Azawad, by soldiers of the Malian regular army, by the Blue Helmets of MINUSMA [UN Mission in Mali] and from pro-government militias. “Terrorist groups are present in the north and more and more present in the centre of Mali, in particular in the Ségou and Mopti areas, including the Pays Dogon area. It is in the area of Mopti that a few weeks ago several Catholic churches were attacked and for this reason as a Church we had raised an alarm. “These groups are linked to illegal trafficking (weapons, drugs, cigarettes, human beings) that are concentrated in the centre of Mali.